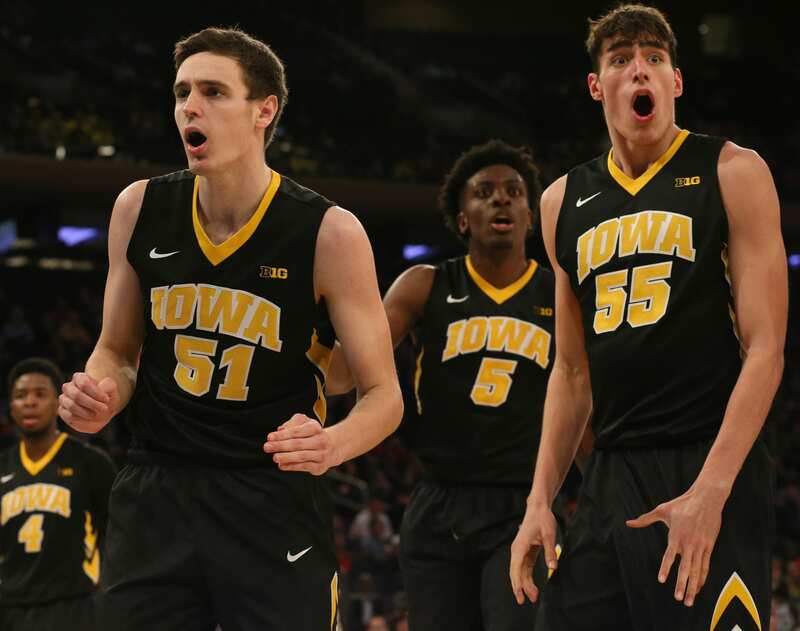 It’s safe to say that 2017 wasn’t a good year for the Iowa Hawkeyes basketball team. Finishing with a losing record was one thing, but they were only one spot away from being the worst team in the Big Ten in terms of record. That title went, somewhat unsurprisingly, to Rutgers. Still, to outsiders, it was likely surprising that Iowa fell this far. After all, they’re usually, at worst, a middling team. But if you look at their record last year, you’ll notice a trend of big losses in conference play. Most of their wins came against teams from conferences like the WAC, SWAC, MAC, and Big Sky. In the Big Ten, though? They only picked up four wins. Looking at the quality, or lack thereof, of the teams that they did beat makes Iowa look even worse last year. Things really can only go up, barring a collapse and another disaster of a season. Let’s look at some of the losses Iowa suffered. 77-64 on the road at Indiana, 91-73 on the road at Maryland, 80-64 at Rutgers, 85-67 at home against Wisconsin, 82-58 at Penn State. One trend was that the results were worse off away from home. Fortunately, however, the team isn’t near as young this year. Top two scorers Tyler Cook and Jordan Bohannon were sophomores last year and both of them are returning, and bringing their team leading 15.3 and 13.5 point per game scoring performances with them. Bohannon is a guard and Cook is a small forward that should be one of the better ones in the Big Ten, in addition to one of the most used players. Whether or not Iowa wins, Cook is an exciting player to watch. He’s the type of small forward that plays well around the basket and if you’re watching Iowa, you should expect to see him trying to get under the basket to dunk for a score. Most of his jumpshots will be from mid range, and Cook’s 56% field goal percentage might be inflated from his tendency to score right underneath the basket. Out of their players that had a big impact last season, just about everyone is back. Cook and Bohannon, however, will be their big duo as both players bring scoring but outside of that, they specialize in two key areas. Cook is a better rebounder with a team high 6.8 per game, and Bohannon led the assists column with 5.4 per game. Sophomore forward Luka Garza should also be expected to play a role as the second leading rebounder on the team with an average of 6.4 per game as well as 12.1 points per game, and redshirt senior Nicholas Baer might see more playing time with 5.0 rebounds per game. The verdict here? Iowa was bad last season. Really bad at times, and they were blown out a number of times both at home and especially on the road. However, they were a younger team that was led by sophomores and a freshman, and with all of those players coming back, including their leader who could be a standout in the conference as a whole, they should take a step up. It might not be a huge step up, but anything would be an improvement from what they are now.